Retirement planning should be one of your primary goals when you start your professional life. Retirement planning should be one of your primary goals when you start your professional life. This is a life long pursuit and you should be careful enough when you plan for your retirement and avoid the mistakes that normally people tend to commit. One wrong step in your retirement planning can land you in trouble. 1. 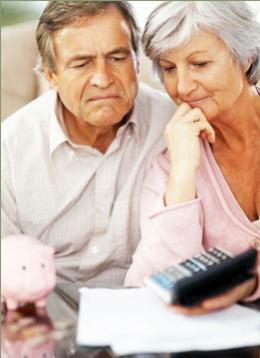 Unable to save money before retirement: One of the biggest retirement mistakes is the failure to save money. In a recent survey, it was noted that around 50% of all workers and 34% of workers who are 55 years or more of age said that their total savings, excluding the value of their homes, is less than $50,000. With such a meager amount as savings, it will be difficult for a person to lead his/her post retirement life. 2. Fail to diversify investments: Unless you diversify your investments, you stand at a high risk to lose your money. You should maintain a diversified investment which should be a mix of equity indexed annuities, universal life insurance, blue-chip stocks, real estate investment trusts as well as money market funds. 3. Spend your retirement income: It has been noted that most of the retirees go on a spending spree immediately after they retire. They end up regretting it later. After your retirement, you should delay withdrawing money from your retirement funds as long as you can. The longer you build up your tax deferred retirement assets, the better it will be for you. 4. Wrong estimation of medical expenses: Many of us believe that Medicare will cover everything. It is true that Medicare covers many types of medical expenses starting at age 65 but it won't cover everything. You should remember that Medicare will cover certain medical expenses. Also, you'll be liable to pay deductibles and co-payments on these expenses out of your own pocket which the Medicare does not cover. Thus, you should go for supplemental health insurance coverage where the costs will vary as per the coverage you select.